“No one should have to go through what I did in those early days after my injury,” says Mark. But he hasn’t let that stop him. 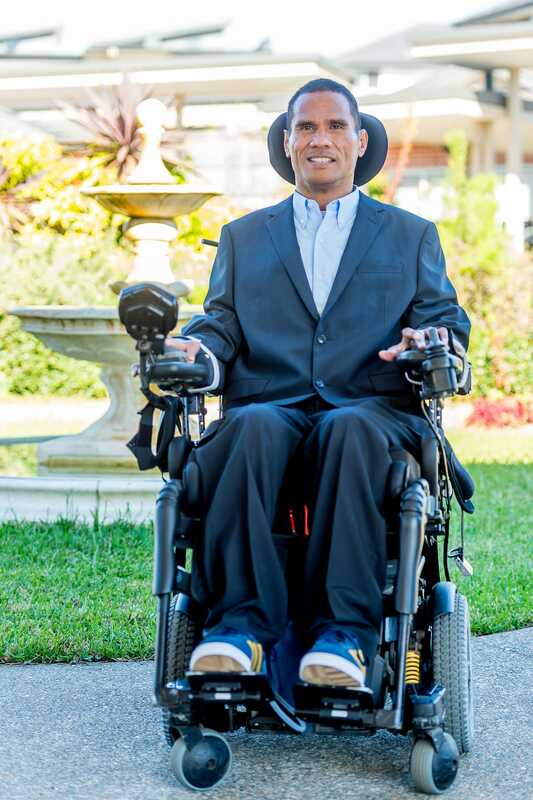 Mark is an active advocate for people with a disability. TAD volunteers have designed and built custom attachments for Mark’s electric wheelchair that allow him to see and use his iPad with his mouth stick, a mouth stick holder positioned in reach and a clipboard for his meeting notes. This means Mark can now participate independently in his work and when volunteering. Mark had tried to find these crucial devices in the commercial market but none suited his needs. Our volunteer’s expertise has enabled people like Mark to be active in the workplace and in their communities. 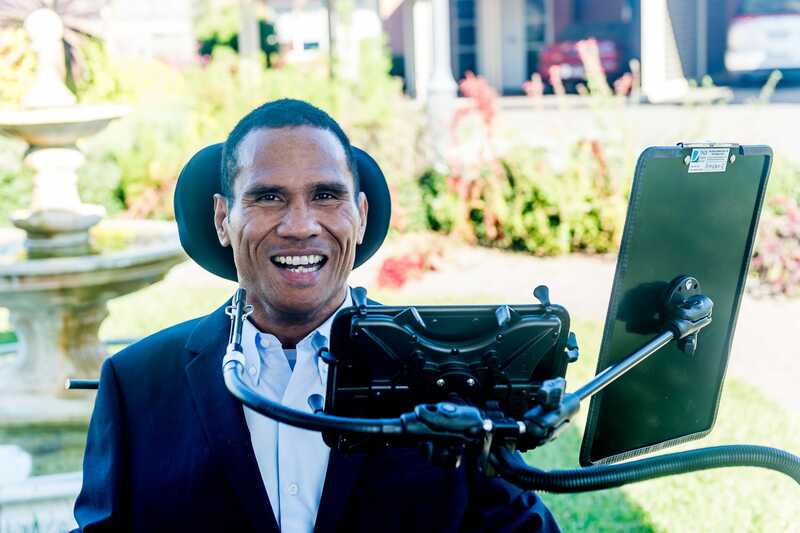 These days Mark Tonga is an adviser and on the boards of various organisations including the City of Sydney Inclusion Advisory Panel, People with Disabilities Australia and the Paraplegic and Quadriplegic Association of NSW (Paraquad). Recently he was appointed a member of the Disability Council of NSW advising the minister. In his spare time Mark is also very involved in the Polynesian community and has a special place reserved in his heart for the West Harbour Rugby Club. 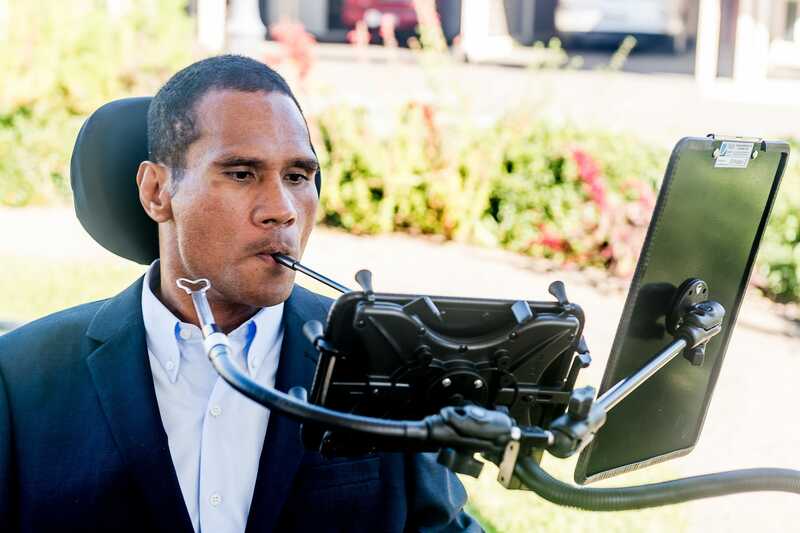 With the equipment to reach his mouthstick, use his iPad and read his papers, Mark can now participate fully with all the information he needs right there in front of him. He does not have to rely on people to do it for him. We asked Mark why he puts so much effort into advocating on behalf of people who have a disability, given the personal challenges he has to deal with day to day. Our volunteers and staff can change the life of another person simply wanting to achieve their goals and participate independently. “Working with TAD was a seamless, person-centred approach where everyone is valued and treated with dignity.” Mark finishes.